Welcome to the Islander Beach Resort Condominiums in Fort Walton Beach, Florida! 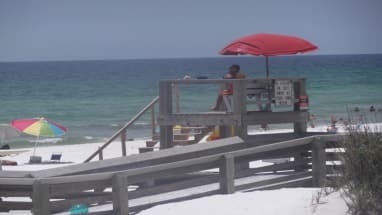 This beautiful complex sits directly oceanfront on Okaloosa Island’s white sandy beaches. These fully stocked condos make vacationing a breeze! Every balcony provides a breath taking Gulf view and the 80 foot community pool offers a great place to relax. For when you’re getting hungry the complex offers outside grilling areas or you can visit one of the many nearby restaurants such as The Gulf, Asiago’s Skillet and Angler’s Beachside Grill. Enjoy long days on the beach or take part in one of the many local activities such as deep sea fishing, paddle boarding, snorkeling, parasailing, jet skiing, and dolpin tours! There are also several golf courses nearby as well as family attractions such as the gulfarium. The Islander Beach Resort makes for an ideal place to spend a family vacation. 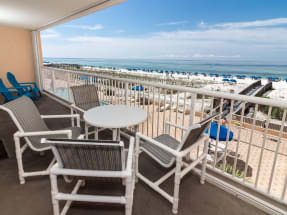 When planning your stay on the Emerald Coast at the Islander Beach Resort, be sure to book with ECBYO.com. Browse our selection of Islander Resort condo listings below. Emerald Coast By Owner will put you in direct contact with the property owner. This will assure you are not paying booking fees when booking your next get-a-way to the Islander Beach Resort in Fort Walton Beach. Book online today and save. We hope you enjoy your stay!